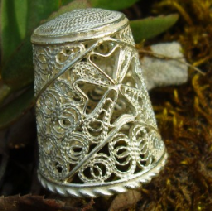 Somebody just asked me what is Maltese Filigree? Here are some pictures to show you its beauty. And don't forget to check out FairyFiligree's current & very first GIVEAWAY. Click on TUESDAY GIVEAWAY to find out more. Hi there-what stunning pieces, these are so intricate and beautiful! !